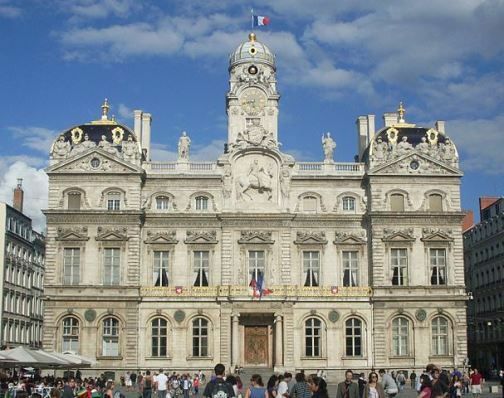 The 17th century City Hall on Place des Terreaux has a strikingly beautiful facade, which is radiantly illuminated at night. The 17th century City Hall on Place des Terreaux has a strikingly beautiful facade, which is radiantly illuminated at night. The most notable feature of this façade is the sculpture representing King Henri IV on horseback in the middle of the upper part. Unfortunately, it is impossible to visit the building except during the 'Heritage days' (Journées du patrimoine) in mid-September.